To participate in the Powerball Arcade, you must either register, or login to the VIP Club. This allows us to save your vBALLS and to have your contact info if you win a sweepstakes drawing. Notice is hereby given pursuant to Idaho Code 67-7442, that the Idaho Lottery Commission will hold a meeting on Thursday September 13, 2018 at 10:00 AM (MT) in Boise, Idaho. This Notice of Public Meeting and Agenda are being provided as required by Idaho Code Section 74-204. Each scam is unique but there are some common themes. The victims are usually elderly and, there’s almost always a sad story or a pressing reason for why the con artists need to cash their “winning” lottery ticket quickly. An old saying still holds true, “If it sounds too good to be true, it probably is.” Don’t be a victim and don’t let anyone you know be a victim. When you hear one of these stories - get away, call the police, and give them a description. Help stop these criminals - before they rob again. You don’t have to be a U.S. citizen to claim a lottery prize. The thieves are trying to rush you so you don’t have time to think or call a family member or friend for advice or help. Don’t be a Victim! Be ALERT! 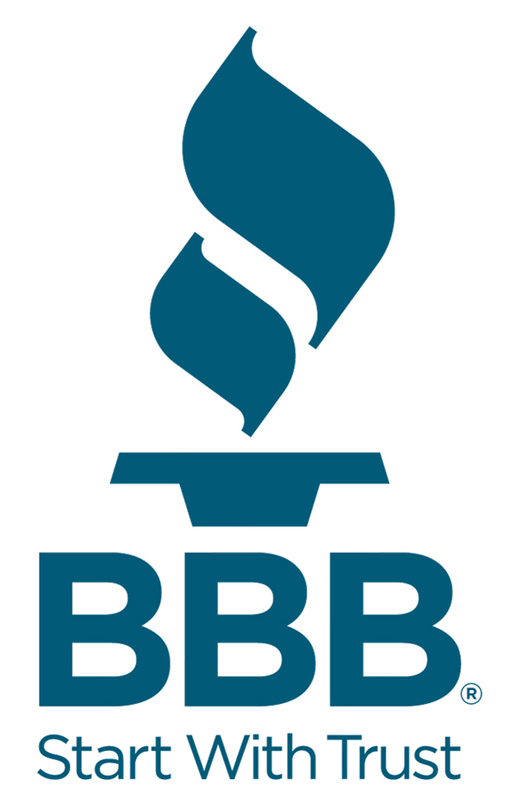 If you feel you have been a victim of fraud, you should read the information and tips put out by the Federal Trade Commission about scams. Forward the suspicious e-mail to the Federal Trade Commission’s address for unsolicited commercial e-mail at spam@uce.gov. Notify the Internet Crime Complaint Center (IC3) of the FBI by filing a complaint on their website at: www.ic3.gov. If you are going to participate in a “lottery pool” do so only with people you know and trust. All profits generated by the Idaho Lottery benefit Idaho Public Schools and the Permanant Building Fund. The Lottery also provides fun, excitement and prizes for players. Don’t allow these scam artists to take your money and spoil your fun. Select a Draw Game of your choice, select your numbers, the number of Draws, then scan your barcode at a Lottery vending machine or have a clerk scan it to purchase your Draw tickets. That’s it! It’s that easy! If you have a VIP Club account, you can save your favorite playslips on your mobile device. If you are an Idaho resident or just happen to be in the state of Idaho, you may claim your prize of $599 or less at any Idaho Lottery retail location. Locate a retailer near you. If you live outside of Idaho you may claim your winnings of any dollar amount through the mail. You may claim your prize by either mailing us your ticket and the CLAIM FORM AND ADDENDUM , or stop in to the Idaho Lottery headquarters. Sign your name and write your address on the back of your ticket. Print and fill out the CLAIM FORM AND ADDENDUM if your prize is $600 or more. Include a copy of your driver’s license or government issued photo ID. Make a photocopy of the claim form AND your winning ticket. Be sure to COPY BOTH THE FRONT AND THE BACK SIDES OF YOUR TICKET. Keep the photocopy of the completed form and ticket for your records. Include original ticket (not the photocopy) with the completed claim form. If you do not completely answer all of the information sought by the form, IT WILL BE RETURNED TO YOU FOR COMPLETION. The Idaho Lottery cannot redeem any ticket(s) that have not been signed by the prize winner. 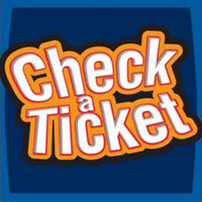 You must fill out a claim form for each eligible winning ticket of $600 or more. CLAIM FORM AND ADDENDUM. Those who have won thousands or millions of dollars in the Lottery know that 25 percent federal tax withholding and 6.925 percent Idaho state tax withholding is taken out of winnings. If $600 or more is won on a single wager, the Lottery is required to report those winnings to the IRS. The Lottery is not qualified to give advice on matters regarding taxation. Players are encouraged to consult a tax professional in this matter. For assistance on your taxes, call the IRS at 1-800-829-1040 or visit www.irs.gov. Except as otherwise set forth herein, these general terms and conditions of use (“Terms and Conditions”) govern your use of the Idaho Lottery (“Idaho Lottery”) web site. By accessing and using the Idaho Lottery’s web site, you acknowledge that you have read and agree to these Terms and Conditions. If you do not agree to be bound by these Terms and Conditions, you are requested to immediately exit this site. 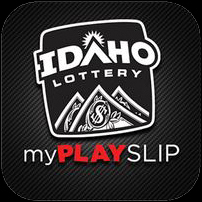 The name “Idaho Lottery,” “Scratch Games,” “Draw Games” and all other lottery and game names, and the graphics and logos displayed on this web site are the property of or have been licensed by Idaho Lottery and may not be used without the prior written permission of Idaho Lottery. Idaho Lottery does not permit the use of its name, graphics or logos in advertising, as an endorsement for any product or service, or for any other purpose, commercial or otherwise, without Idaho Lottery’s prior written approval. You hereby agree to defend, indemnify and hold harmless Idaho Lottery and its affiliates, directors, officers, employees and agents from and against all claims and expenses, including attorneys’ fees, arising out of your use of this web site. Thanks for visiting the idaholottery.com website. When you visit our web site to browse, we may collect, use and store information such as the type of computer modem and Internet browser you are using, the number of times you visit our web site and the particular pages you view, the date and time you access our site, linking to and from our site, and the length of your visits to our site. We may share this information with third parties if we choose to aggregate and disclose site traffic information to improve the use of our site for our visitors. When visiting our web site, you may choose certain on-line options such as (i) to contact us, (ii) to send us a resume, (iii) to obtain lottery retailer locations where you may purchase our products or (iv) to receive information about our products or services (e.g., to request e-mail notification of daily winning lottery drawing results or to request information about becoming a lottery retailer). When you engage in any of the foregoing activities, you provide us certain Personally Identifiable Information. We collect and store this Personally Identifiable Information, any updates to such information that you send us, and any modifications that we make to such information. Except as set forth in this policy, we will not reveal any such Personally Identifiable Information to any other third party without your consent, except that we may share User Information with our business associates who assist us in administering our products or services. Furthermore, we may use, disclose or transfer certain User Information (a) to send you the information you request; (b) to send you newsletters and other information about our products or services; (c) to protect the confidentiality or security of your records; (d) to law enforcement or other government officials if appropriate for your protection or in connection with an investigation or prosecution of possible unlawful activity; (e) to our attorneys, accountants, or regulators; or (f) as may be required by applicable law. We may also use User Information that does not constitute Personally Identifiable Information in any manner that is not prohibited by law. In addition, we may also use and disclose any anonymized information that you send us such as your suggestions, ideas or other creative material without acknowledgement or compensation to you. In the event of a conflict between this idaholottery.com Privacy Notice and the Idaho Open Records Law, or other laws governing the disclosure of records, the Idaho Open Records Law or other applicable laws will control. We employ and maintain technology and security measures designed to protect your information. When you submit sensitive information on our web site, that information is subject to a variety of protections, including firewalls and encryption. However, no data transmission over the Internet can be guaranteed as 100% secure. As a result, while we strive to protect your information, we cannot ensure or warrant the security of any information you transmit to us or receive from us. You may have the option to enter third party web sites through our web site. Since we cannot be assured that such third party web sites follow our privacy policies, we encourage you to review the privacy policies of these third parties. We have no responsibility or liability for the actions or policies of these independent sites, do not endorse any product or service that may be mentioned or offered in such sites, and are not responsible for the content or privacy practices of such sites. We do not intend for this site to be used by children under the age of 18 for any purpose that may be prohibited by applicable federal or state laws and regulations, nor do we seek to collect information about children under the age of 18. If we become aware of a child under the age of 18 that submits Personally Identifiable Information to this site, we will delete the information as soon as we discover it and will not use it for any purpose. We encourage parents or legal guardians to talk with their children about the potential risks of providing information over the Internet.